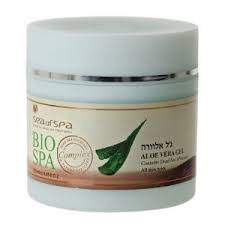 Home › Israel › Bio Spa… Is it registerable as a trademark? Bio Spa… Is it registerable as a trademark? Mineral bath salts and mud masques (not for medical purposes), body butter, body peeling aromatherapy cream, body cream, Aloe Vera cream, Cosmetic creams and lotions, moisturizing cream for the face and baldpate, shampoo, soap, liquid toilet soap, shower gel, toothpaste, deodorant, perfumes, after shave balm (not for medical purposes), all being produced from or enriched with minerals from the Dead Sea; dead sea water; cosmetic soaps; cream soaps; liquid soaps; perfumed soaps; soaps for body care; soaps for personal use; essential oils; Cosmetic creams for skin care; Hair care creams; Hair care preparations; Hair care lotions; Lotions for face and body care; Nail care preparations; Body and beauty care cosmetics; Cosmetic creams; Cosmetic preparations; Cosmetics; Body oils; Hair coloring preparations; Hair styling preparations; Hair shampoos and conditioners; Baby oils; Shampoos for babies; Bath and shower gels and salts not for medical purposes; Bath oils; Bath soaps; Bath foam; Massage oils; Cosmetic massage creams; Sun screen preparations; Sunscreen creams; Sun-tanning oils and lotions; Sun block preparations; Tanning and after-sun milks, gels and oils; Beauty gels; Beauty creams; Body creams; Face creams for cosmetic use; Beauty lotions; Body lotions; Skin lotions; Make-up; Cosmetics and make-up; Make-up for the face and body; Make-up removing preparations. On line advertising on a computer network; on-line retail store services for the sale of cosmetics, body care products, soaps, perfumery, essential oil, hair lotions, dentifrices and deodorants; direct mail advertising. The application was filed on 11 Nov. 2013 and was rejected by the trademark department as being wholly generic and lacking any distinctive features as far as cosmetics is concerned. 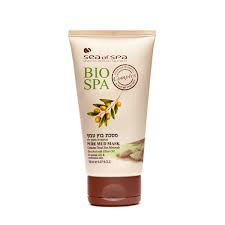 The Applicant countered that the word Bio Spa is not descriptive, but at worse, hints at the products, and also asserted that the mark had acquired distinctiveness through use and thus could be registered under Section 8(b) of the Trademark Ordinance 1972. To show the reputation acquired through use, the applicant appended a catalogue and an affidavit from the CEO attending to the scale of use. On re-examination, the mark was again refused and the Applicant requested a hearing before the Registrar of Trademarks under Regulation 26 of the Trademark Regulations 1940. The Applicant claimed, that like magazines names Family or Good Family which were successfully registered on appeal to the courts, the mark merely hinted at the product and was not fairly rejected as being descriptive. Furthermore, the words ‘bio’ and ‘spa’ do not go together naturally, and supported this assertion with a Google print-out that showed that the combination was unique with them. In his ruling, Deputy Commissioner Jacqueline Bracha held that the words Bio and Spa have equal weight. Applicant argued that the word SPA does not describe cosmetic products but rather a place where one can obtain health treatments. Whilst acknowledging that this is true, the Commissioner noted that there were a plethora of cosmetic products that included the word spa and that the word was, in fact, generic to the cosmetic product industry. The Applicant further claimed that the word BIO was used for food products in general and yoghurt in particular. The Deputy Commissioner accepted that this was true, but asserted that the word really meant natural and not genetically engineered or the result of agrichemicals. The Deputy Commissioner was not sure that the combination was truly distinctive, but was prepared to accept the evidence that no other party had combined the words and that the phrase was borderline descriptive – indicative, and therefore was prepared to allow it to be registered on the basis of acquired distinctiveness since he product had been in continuous use since 2011, and referred to various decisions to support this reasoning. A Google image search also predominantly turned up the applicant’s products. ‹ On Balance, Not a Bad Ruling!